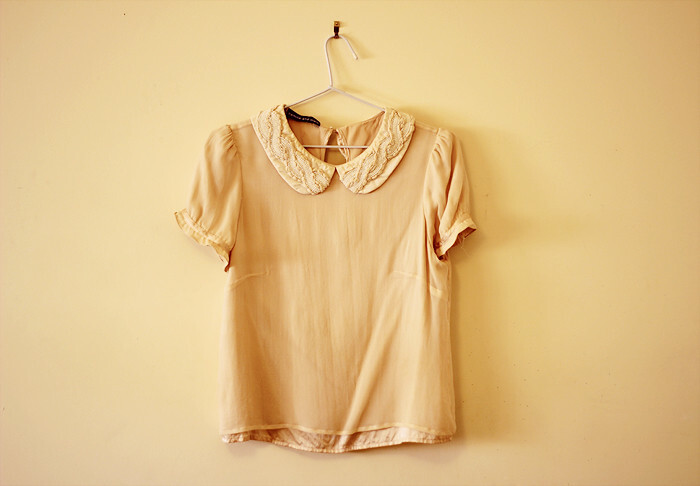 This Camilla and Marc top is four years old, has stains and pilling and it no longer fits me ╯︵╰, I was going to toss it in a charity bin, but I adore the collar so much that I decided to save it. 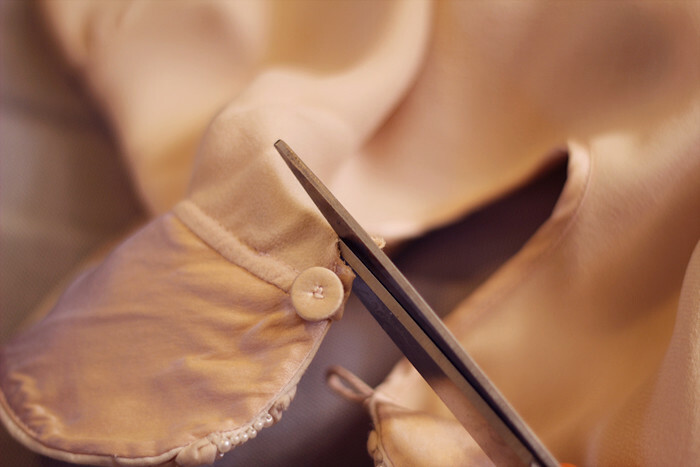 Conveniently the button and loop is position in a way that allowed me to easily cut off the collar without damaging the function. definitely a collar worth salvaging! 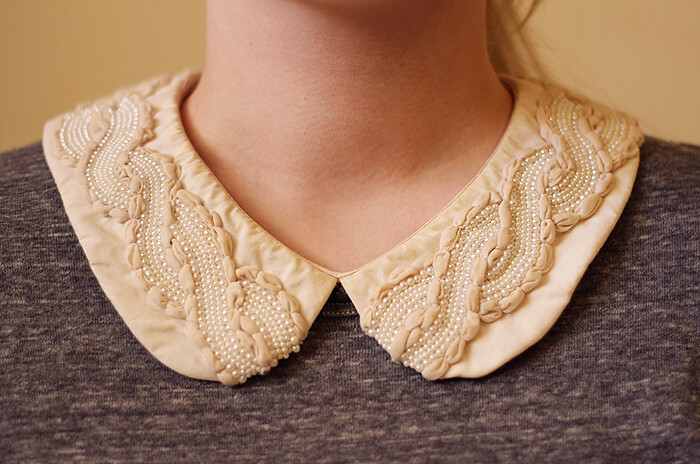 The collar is definitely worth saving and is absolutely gorgeous, the braided pearls look! 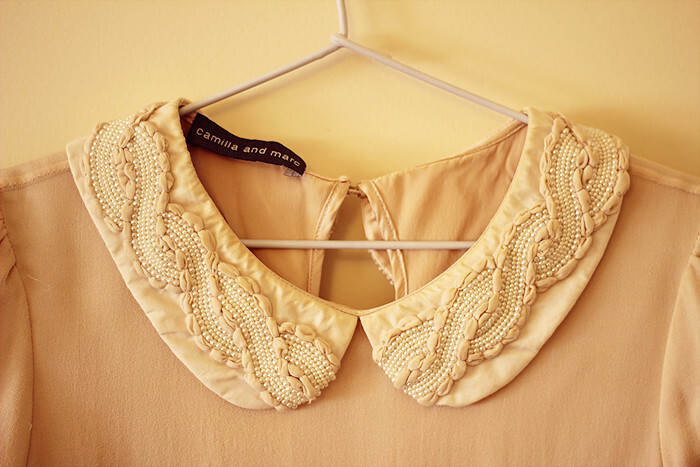 The collar is amazing, the details are so well done. Definetely worth saving.Thanks for the comment in my blog!Take Care! oooh good idea, it's such a beautiful collar!